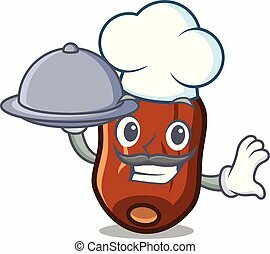 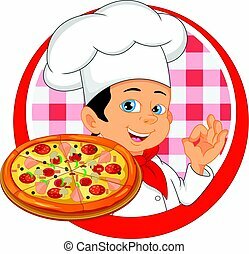 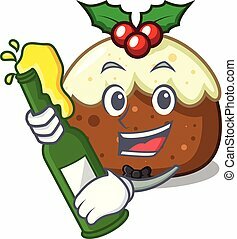 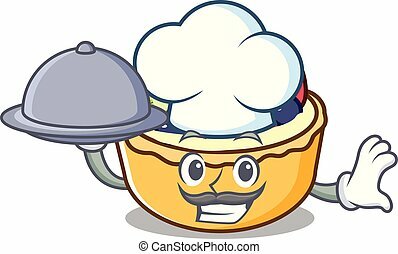 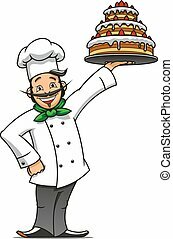 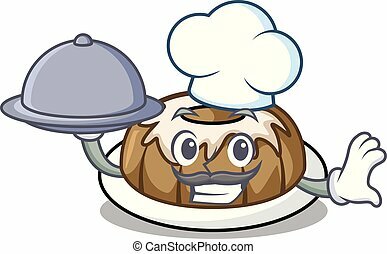 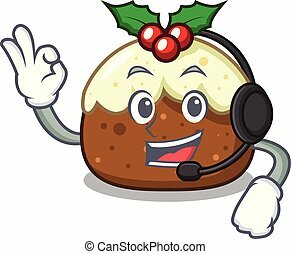 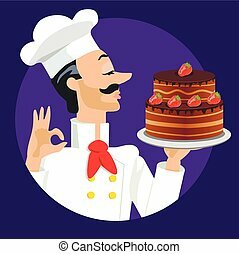 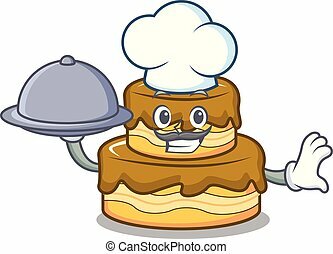 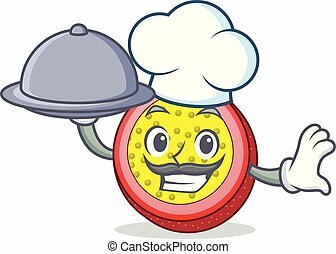 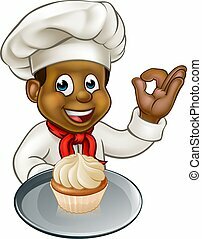 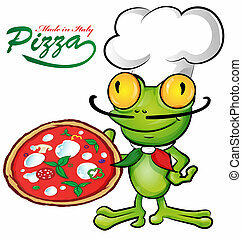 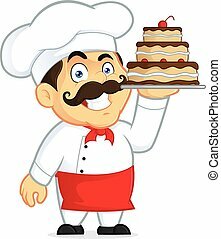 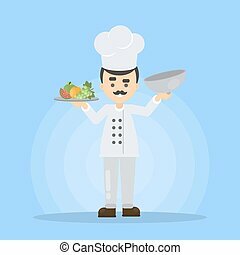 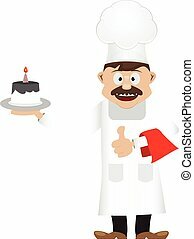 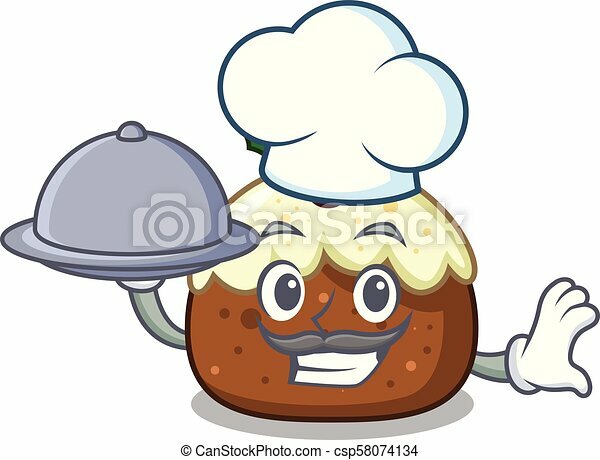 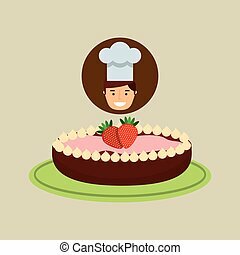 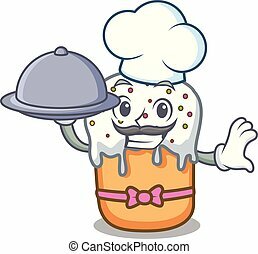 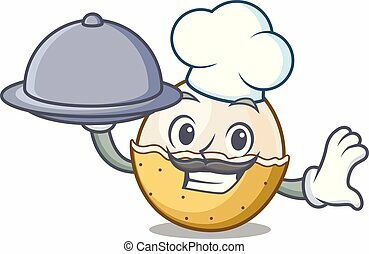 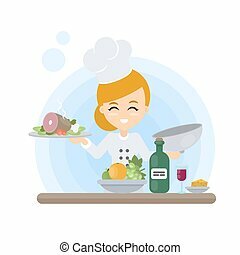 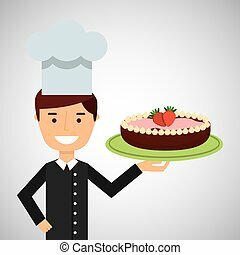 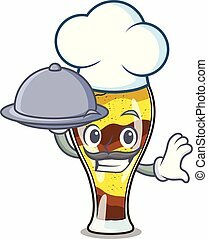 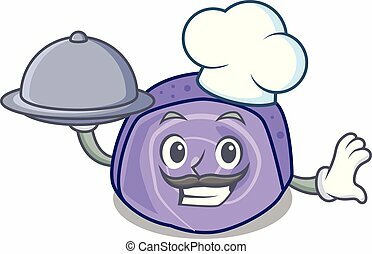 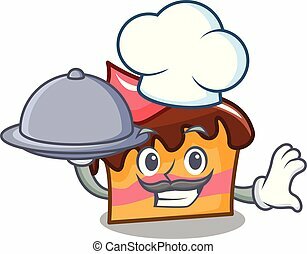 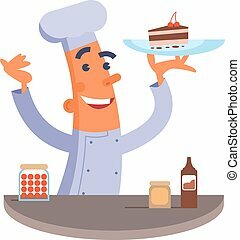 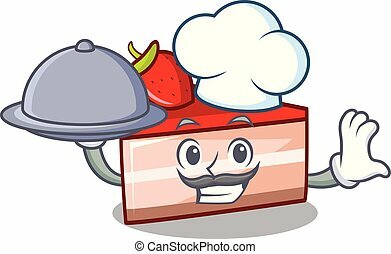 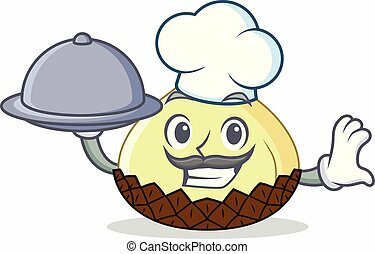 Chef with food fruit cake mascot cartoon vector illustration. 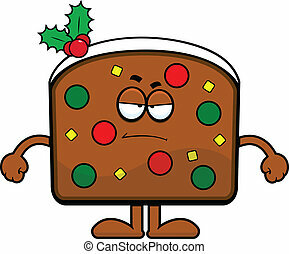 Cartoon illustration slice of fruit cake with a grumpy expression. 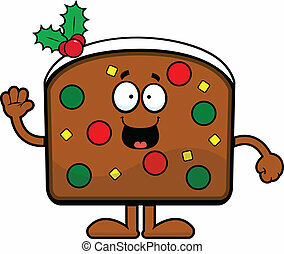 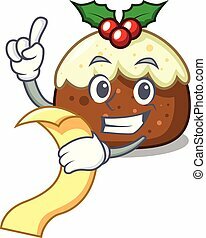 Cartoon illustration slice of fruit cake with a happy expression.